24/7 Emergency Response Teams on call. Call now or Live Chat. Our tech, expertise and efficiencies keep fees as low as possible. 1 year Warranty on all of our workmanship - TOTAL satisfaction. All insurance forms + dealing with insurance company & adjusters. 24/7/365 water removal/extraction and cleanup - speed counts! 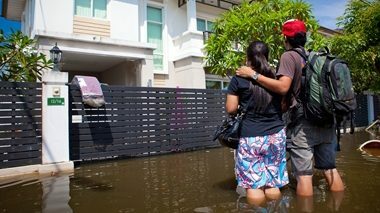 Expert rapid-response mold testing and toxic black mold removal. Specialized cleaning, odor removal, repairs + contents restoration. Rapid response to unsanitary, dangerous sewage contamination. Trust our specialized expertise & equipment to mitigate bio-hazards. Put hazardous asbestos removal in the hands of experienced experts. CRM's PROS quickly return your property to pre-loss condition. Kitchen, bathroom, additions + new homes & commercial buildings. CRM is one of the Southeast's fastest growing companies in this important industry. 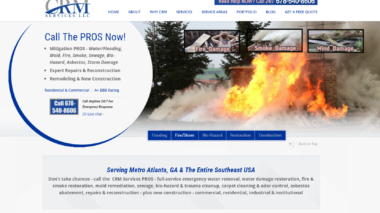 We are a licensed, fully insured and certified Commercial, Residential, Industrial and Institutional Mitigation, Restoration and Construction company. We are committed to providing superior service, leadership and caring guidance during any disaster... as well as creative contracting services for clients in search of the most professional remodeling and new construction expertise. Our size enables us to acquire and deploy the industry's most advanced technology. We deploy the industry's most modern and effective equipment to meet each unique challenge. You're hiring seasoned, certified professionals empowered to deliver unequaled expertise to every task. We are a highly respected, high-integrity business totally dedicated to total client satisfaction. We accept most credit cards and will work with you to secure financing assistance if needed. Never any high pressure - Call 24/7, complete an Estimate Email Form or click on Live Chat. 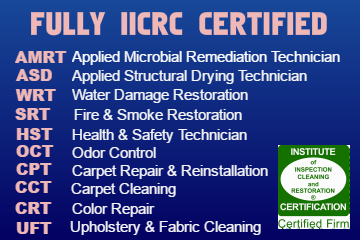 Insist on verifiable certifications from the mitigation and remediation industry leader. Don't take chances with your valuable property. Call the CRM Services PROS.